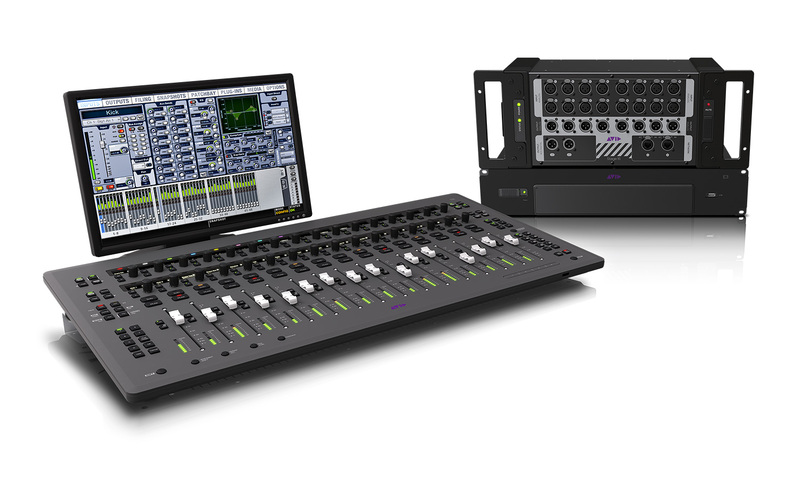 The following is the second of a seven-part blog series from Al McKinna, Principal Product Manager, Avid Live Systems & Consoles, that will provide a look inside the design of Avid S3L. I’m guessing that you were not expecting me to start this blog entry talking about the telephone, am I right? It’s a fantastic invention. It began as two baked bean tins and a piece of string, didn’t it? Product development for the telephone went from two Victorians shouting into tin cans to something the size of a chocolate bar that somehow contains your entire life. Your telephone is now your camera. That’s bizarre in itself. It’s your TV, your music store, your library, your newsstand. It’s simultaneously the fountain of all knowledge and a place to hang out with your buddies. It’s your doctor, yoga instructor, stock broker, spiritual guru and backseat driver. Hey, some of these telephones even let you make phone calls. A telephone now looks like a single piece of polished precious stone, fits beautifully into the palm of your hand, and does everything possibly conceivable including some things previously inconceivable. I recently bought a cell phone that’s a million times more powerful than the BBC Micro home computer I had growing up. Now that’s product evolution for you. The live sound industry is a little like the telephone—it’s also evolving faster than the speed of sound. Blink and you’ll open your eyes to a different world. Over the last 10 years, we have been lucky enough to pay witness to tectonic changes in our live sound world. We have all seen the large-format analog consoles (whose job it is to mix the levels) being replaced by super powerful, smaller-format digital consoles (whose job it is to mix the levels and do a whole lot more besides). Maybe one day we’ll see a console that not only mixes the levels but also mixes the drinks. Oh yeah, please email me if you do actually want your live sound console to mix the drinks. I can’t promise anything, but I’ll certainly look into it. I’m pretty sure we could do that with EUCON. This exciting trend, revolution almost, is entirely analogous to the development of the telephone. As live sound consoles gradually get smaller, we expect them to gradually get more powerful, and recently we have been expecting their functionality to take us vastly beyond the horizons of a traditional analog board. Like the telephone, we want our digital live sound console to do everything. But why? Well, in live sound, as always, the design is driven by the application. In my last blog entry, we discussed how consoles need to be super-compact yet highly versatile as space is at an ultra-premium, transport costs are high, and discerning audiences expect the highest of production values. We discussed how consoles need to provide all the signal processing and effects ‘in the box’, as outboard racks are costly to maintain, hard to transport and uncompromisingly consume that valuable space. We discussed how every performance needs to be recorded as audiences (and artists) are beginning to wonder why recordings can’t be made available immediately after the show. This means we need to find ways to record the show, mix that recording and publish it while acts are still on the road. This is where it can get a little tricky. A few years ago, the introduction of the Avid VENUE Family of live sound systems changed the live recording experience forever. VENUE first introduced the concept of the Virtual Soundcheck and revolutionized the live event industry by replacing the mobile recording truck with two DigiLink cables between a VENUE system and Pro Tools HD. Today, it is expected that every digital live sound console leaving the PA company warehouse comes with some form of recording package, irrespective of the manufacturer. So we are all recording all of our performances all of the time, but what to do with all this material? We know the audiences are screaming for it, we just need to get it into a nice neat finalized package ready for consumption. We need to take it to the recording studio. What if the live sound console could also be used for the studio mix? What if a single console could be designed for both applications, uncompromising in its functionality for both? What if a console could be made so super-compact it could be used in the tour bus or hotel room, so lightweight it could fly as checked baggage and is intelligent enough to behave like a live console in the auditorium and DAW controller on the bus when you’re mixing the recording? If a manufacturer could indeed design this console, you could record every show, mix every recording, publish the recordings and generate additional revenue streams for the artist—all from the tour bus. Yes, I’m teasing. We designed it. Avid S3L is a modular, networked digital mixing system for professional live sound and studio applications that gives the engineer game changing functionality never before achieved by a live console. That concept we have discussed before. However, it is the capabilities of the S3 Control Surface that enable this very cool dual-application functionality. When first designing S3, if Avid was going to realize this dream and not compromise on functionality for live sound or studio, we were going to have to set some exceptionally stringent design goals. Goals that could end up raising the bar on console design altogether. In order to not burden the studio engineer with the cost of audio engine components used only for live sound applications (in the studio Pro Tools is the engine), S3 must contain only the elements needed for studio workflows—the control elements. By preserving the modularity between control surface, engine and I/O components of the S3L system, we made a highly scalable and versatile live sound system while simultaneously enabling S3 to be a viable DAW controller for studio applications. S3 needs to be super compact for all the reasons mentioned above; however, that does not mean we should be willing to compromise on its versatility or functionality to do so. This is achieved in S3, firstly by having all the audio engine components in the E3 Engine, and secondly through the layout and functionality of the surface controls. 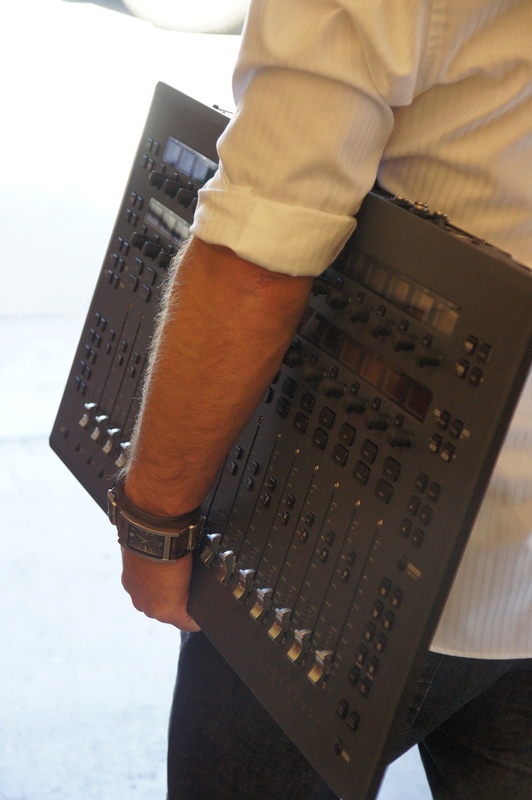 The S3 Control Surface has 32 touch-sensitive encoders. Each encoder has a high-resolution OLED display, which provides indication of the parameter targeted to it. 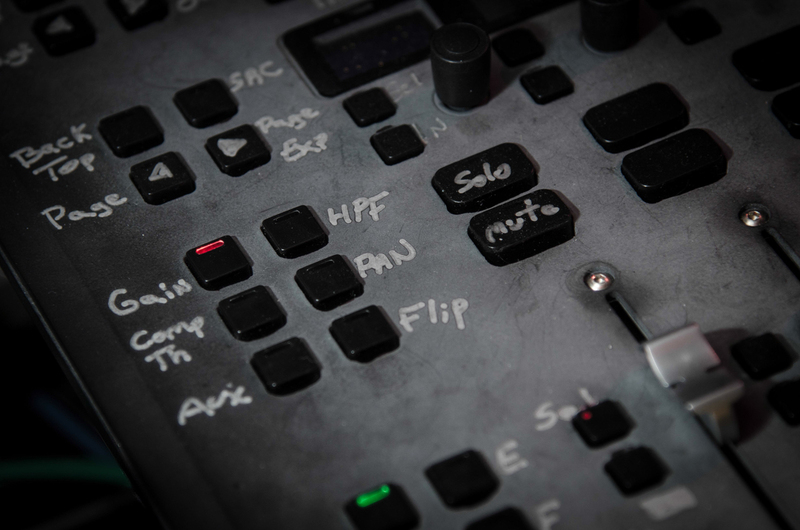 The S3 Control Surface has few dedicated controls. Instead the engineer is given a range of parameters that can be targeted to the encoders. This is not just limited to channel functions such as pre-amp control, EQ, dynamics and aux send levels, but also mix bus outputs, matrix outputs and VCA masters, all of which can be targeted to encoders to free up more control via the faders. This concept of moving away from dedicated controls and toward a more fluid, versatile, assignable model enables us to remove unnecessary controls, reduce the amount of overall surface space and keep S3 immensely powerful. The S3 Control Surface is designed as a controller for both live sound and DAW applications, but that does not mean some units won’t spend their entire lives in a flightcase touring the world. You can guarantee it. Like the seasoned roadie, the S3 Control Surface must be built to cope with this lifestyle and withstand all the rigors of touring. The Avid VENUE consoles are built for this also, and with nearly 10 years of real world testing under Avid’s belt with these market-leading touring consoles, a wealth of experience was applied to S3L. This is why the environmental specifications and requirements provided for the design of S3L are taken directly from the requirements formulated for all other Avid live sound consoles. The S3L system is tested extensively to meet these specifications. All Avid live sound consoles are powered by the VENUE software, Avid S3L being no different. The S3 Control Surface literally targets functions in the VENUE software. For this reason, the workflow employed to operate VENUE must be the same across the entire Avid live sound family. If this is achieved, a user would only need to learn to use an Avid live sound console once and be able to use all Avid live sound consoles. So that’s what we did. Fader banking, encoder assign and Channel Control are brought into S3 from existing VENUE consoles and will be instantly familiar to anyone with experience of operating SC48 for example. All Avid live sound consoles are powered by VENUE. When S3 is ready to function as a controller for Pro Tools and other 3rd DAWs, the console will behave in a similar way to an Avid Artist Series controller. S3 has been designed to preserve the VENUE functionality and the Artist Series functionality without comprising the established workflow of either. The sheer feature set of both the VENUE software and the E3 Engine is such that Avid S3 needs to be extremely versatile. Fortunately the assignable, flexible, non-fixed design of the control surface, detailed earlier in this blog, enables the user to access the full range of features offered by E3 and VENUE. Don’t take my word for this one, jump on a console and try it out. See how parameters map to encoders and how you can access a whole series of functions across different areas of the board for quick access, fluid operation and maximum control. An S3 prototype is labeled up, ready for functional testing. It’s the little super model of the console industry. I joke about this a lot, but there are some very valid reasons why Avid S3 is easy on the eye. The first reason is that S3 has a world-renowned industrial designer whose creative output never ceases to leave me in awe. The second reason is we removed all clutter. All unnecessary controls, labels, section headers and delineation lines have been removed, leaving the console surface free from chaos. This has resulted in clean lines, well-spaced controls and a low profile unit that literally seems to hover above your flightcase. The final S3 Control Surface. This is all good, but what’s the purpose of it? Well, it is not just to make you feel proud to tuck S3 under your arm (although hopefully you are)—the primary reason is to make it simple to use. The less clutter on the surface, the easier it is to find and access your desired function. This is essential for live sound workflows where reaction time is always of the essence. So, there they are—the seven design goals of the S3 Control Surface. Design goals that resulted in a compact, portable, multi-purpose control surface that is extremely powerful, easy to use and sounds fantastic. But again, don’t take my word for it, try it out for yourself. Avid S3L is now shipping and available worldwide. Call your Avid dealer and organize a demo, and as always, let us know what you think.